Nobody's Business is a funky Jazz and Neo-Soul song that reminds us all that it's no one else's job to make us happy. Only we control how we feel inside. Rhonda began her music career during her final years of Brown University. Her uplifting and resonant voice immediately struck a chord with music lovers. Rhonda’s unique phrasing and authenticity to her art, sets her apart from other vocalists. It has become evident that Rhonda not only has the voice, but the significance to carry on her parents’ legacy (Diana Ross & Motown-Founder Berry Gordy) all the while establishing her own unique musical destination. Rhonda Ross's sultry mix of jazz and spoken word poetry is not to be missed!! Her strength is undeniable, her joy -- irresistibly magnetic. Rhonda communicates straight from her heart to yours. In the blink of an eye, she effortlessly transforms between a sensual siren and a powerful teller of truths. You can feel that she has already lived through all the lyrics that she writes. And these songs are some of the most eloquent and inspiring we’ve heard on love and life. Deeply spiritual, uplifting yet grounded; Rhonda’s “wise beyond her years” lyrics are introspective and inspiring. Riding on her richly textured voice, Rhonda’s compositions become deep, melodic soulful gems.Rhonda documented her unique poetry with the releaseof Rhonda Ross Live: Featuring Rodney Kendrick, a CD of all her original compositions. The Ross sound continues to live on and expand through Rhonda’s creative expression. 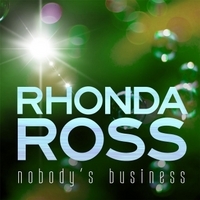 Rhonda continues to pen her thought-provoking and inspirational songs, but now not only are they jazz-inflected, but they include elements of R&B and gospel as well. Her music will give you goose bumps, move you to tears, and leave you believing that you can do or be anything! It is not to be missed.